Saturday evenings may mean a night of parties and amusement for many, but for a dedicated group of youths, it means spending hours honing their football skills under the close mentorship of coaches from Singapore and the RealmadridFoundation. No, these are not youths from the national football squad but a special group of teens, from less privileged backgrounds, who have been given the opportunity to participate in a programme designed to develop their character and instill positive values despite the challenging circumstances they face in life. 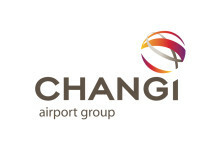 Changi Foundation, the philanthropic arm of Changi Airport Group (CAG), is sponsoring the launch of Saturday Night Lights (SNL) in the Central district of Singapore, in partnership with SportCares, a foundation and movement created under the Vision 2030 masterplan for sport, launched by Singapore Sports Council (SSC) and Ministry of Culture, Community and Youth (formally known as Ministry of Community Development, Youth and Sports). Under the CAG-SNL Central programme, youths from NorthLight School and Marine Parade Group Representation Constituency (GRC) come together for football training, personal skills development and relationship building. 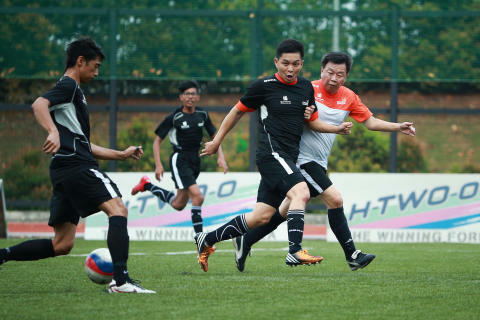 The CAG-SNL Central programme was officially launched today at ITE College Central, which saw Mr Lee Seow Hiang, Chief Executive Officer of CAG and youths from NorthLight School taking on Mr Tan Chuan Jin, Acting Minister for Manpower and Member of Parliament for Marina Parade GRC, and youths from his constituency in a friendly game of football. Targeted at disadvantaged youths aged 12 to 20, the programme’s 80 players look forward to an environment of quality coaching, supportive volunteers and team camaraderie every Saturday night. As sports can be a means to social and character development, the SNL programme uses the popular sport of football to reinforce positive values such as respect for team work, leadership and discipline both mentally and physically, as well as commitment to a greater purpose. Coupled with workshops such as first-aid, nutrition and job interview skills and motivational talks by sports celebrities, the programme has become a powerful platform to engage these youths in a community environment — one surrounded with good role models, educational support and mentoring. Mr Lee Seow Hiang, CEO of CAG said: “Our partnership was first conceived to make a difference to the lives of the youths, and we are elated to learn that many of them have demonstrated commitment, improved discipline and confidence through this programme. Our CAG staff volunteers have also benefitted from the opportunity to train with and mentor these youths. At the launch event this evening, 10 youths were also given recognition for being the Most Valued Players and Most Improved Players. These youths, who have participated in the programme since September 2013, have displayed a positive attitude on and off the pitch and shown great improvement in areas such as character development. In addition to guidance by professional coaches certified by the Football Association of Singapore, the Realmadrid Foundation Technical Academy Singapore is also doing its part for the community. Every Saturday, Realmadrid Foundation coaches train and provide soccer tips to the youths on a voluntary basis.